I had the pleasure of meeting and chatting with Caroline Walmsley (@carowalmsley), CEO of Brightwave, last week and we had a wide-ranging conversation about learning, learners, L&D, vendors and the ambiguous spaces betwixt and between them. We talked about the shift that's happening in learning, the shift that's making learners, trainers and vendors take a good look at themselves and their current and future skill needs. And we wondered why so many of us are finding it difficult to evolve our thinking and our practice to keep up with, and stay ahead of, these changes. We talked about arrogance and we talked about fear. And I was reminded of learning to swim. 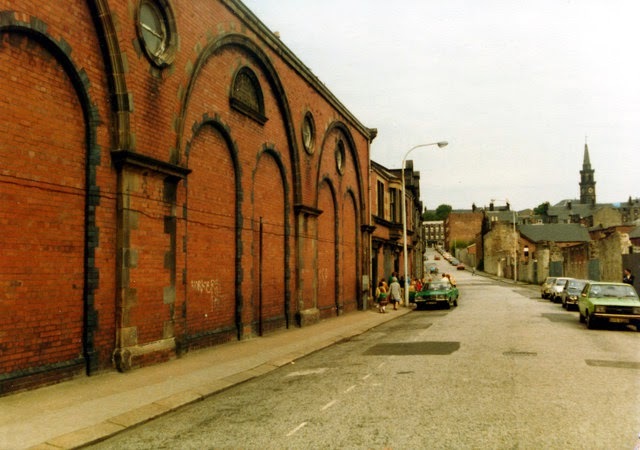 I remembered going to swimming lesson at Paisley Baths when I was 8 or 9 years old. I remembered the panic of trying to keep my head above water, to stay in the world above the surface, the belief that I would not be able to breathe if my head went under the surface. The result of that thinking, of course, was that I spent all the time in swimming lessons struggling to 'stay alive' and paid no heed whatsoever to learning the techniques and thereby discovering the fun to be had in swimming. That fear stayed with me for years. I denied myself the pleasure and the benefits of swimming, despite the many opportunities available to me, well into my late teens. When I did eventually - with the encouragement of friends and colleagues - learn to swim, it was still not with the unbridled joy and abandon that I saw in others. I was staying afloat, my feet were finally 'off the bottom', but I was still essentially expending all my energy in trying to keep my head above water. And then, at the age of 22, I went to Corfu with my best pal for my first ever foreign holiday. 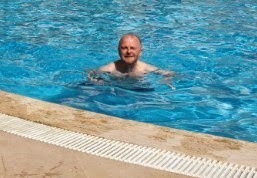 I was determined that I would swim in the Mediterranean. Any Mike brought a snorkle and goggles. That combination of factors finally released me from the fear. At one and the same time, I found I was able to swim AND get my head under the water, whilst still breathing! It was a transformative experience. Not only did I not die, but the world underneath the surface was beautiful. I was surrounded by fish, I was 'flying' over an undersea landscape of forms and shapes and colours I had never imagined. I loved it. That's what I think those of us engaged in UK Learning PLC need to do. We need to stop struggling to stay alive in the safe world we've always known, to put all our energies into keeping our heads above the water. We need to be brave, to find a way of getting our heads under the surface, to see the world of possibilities open to us, whilst realising that not only can we survive in that space, but we can develop new skills and have fun at the same time. We can operate in more learning environments than we think. So, feel the fear and do it anyway. Stick your head under the surface, have a good look round and, in the immortal words of 'Dory' from the Disney Pixar film 'Finding Nemo', "just keep swimming, swimming swimming..."
Niall incredible to relate my own similar experience. I learnt to swim at the age of 18 having avoided swimming baths and beaches all my teenage years out of humiliation and fear. Snorkling in Crete did it for me. A whole new universe that I had never imagined opened up for me and I worked on overcoming fears of being out of my depth. I am still not the world's most brilliant swimmer but I pound up and down the pool for my regular 1 km sessions and really enjoy the experience. I regret the years of missing out and remember that facing up to fears is a great way of learning . Nigel, the parallels are spooky! Ironically, having bitten the bullet, I swim infrequently - other than a concentrated burst of about 10 years while the children were growing up and learning to swim! (There's another faciIitation/learning experience in itself!). I need to spend more time in exotic locations, exploring the depths... Scuba lessons anyone? While the swimming analogy doesn't really work for Australians, who are born wearing Speedos and goggles, I can relate to it. Personally I don't think it was fear that held me back until around 20 months ago from exploring new approaches to L&D, including use of technologies. I think that I wasn't ready for it in terms of my own development as an L&D practitioner (I come from an operational background and L&D was a 'mid-career' with). I simply wasn't aware of non-traditional options. I also didn't know where to get started in the online world and felt overwhelmed - I needed to figure out how to develop an online network and access all the wonderful information, peer & expert support and resources that are available. Good conversation starter Niall. Michelle, thanks for reading and commenting (Memo to me: Remember your international readers!). I'm suggesting that as L&D professionals, we should all be scanning the current and future learning landscapes, as you and I have both done, as part of our ongoing professional development. I used to rely on Conferences for that, whilst also networking with my peers and other thought leaders. It was at the Learning Technologies Conference back in 2010 that I was first introduced to Twitter and got a glimpse of what digital and social media could bring to my own and others' learning. It's been a slow path to implementing different solutions and techniques ever since, ducking my head under the water frequently and slowly building up my own, my team and my stakeholders' confidence. A long way to go yet, in this dynamic and ever-changing environment. I shan't be swimming the English (or the Tasmanian) Channel for a while yet! Agree with your overall theme and suggestion. It's important to find fellow swimmers and build up your swimming skills bit by bit. Your point about building your team and stakeholders confidence is also important - stepping up to being swimming coach and cheerleader. Just keep swimming!